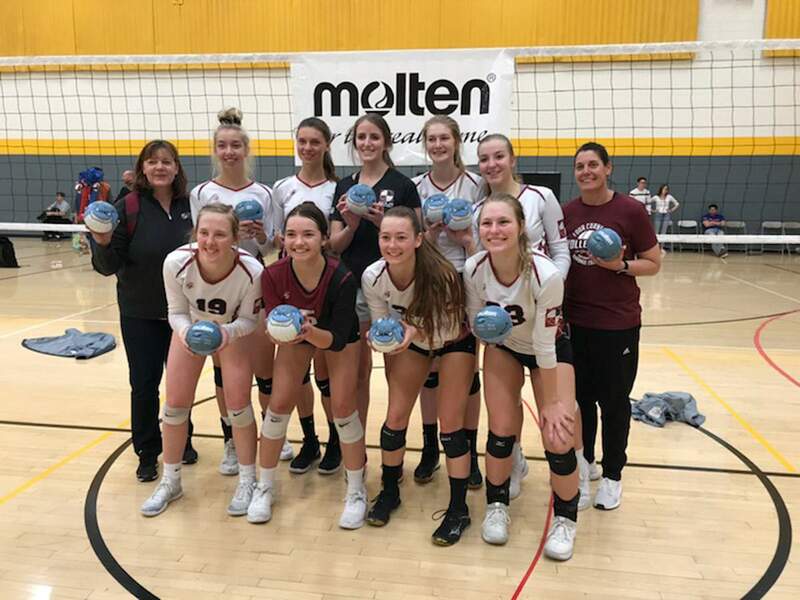 Courtesy of Four Corners Volleyball ClubThe age 17-18 Four Corners Volleyball Club team finished second out of 44 teams at the MLK Fiesta Classic Tournament in Phoenix last weekend. The team consists of players from around the Four Corners and is led by Fort Lewis College head coach Tricia Melfy, far right, and Bayfield High School head coach Terene Foutz, far left. The Four Corners Volleyball Club opened the 2019 schedule by sending seven teams to the MLK Fiesta Classic Tournament during Martin Luther King Day weekend. The club’s best result came from the age 17-18 team led by Fort Lewis College head coach Tricia Melfy and assisted by Bayfield High School head coach and club director Terene Foutz. The team placed second in the gold division out of 44 teams. The roster included Durango High’s own Paige Ammerman, Millie O’Ketter and Taylor Wolf. Tayln Miller and Courtney Moore of Piedra Vista High School in Farmington were also on the roster along with Aztec’s Reigan Weaver and Farmington’s Alyssa Simmons. Dolores’ Jordan Elder also represented Southwest Colorado along with Montezuma-Cortez’s Aryelle Wright. The 17-18 club team won nine matches and lost two with 18 sets wins to only four set losses. Diamondback Volleyball Club’s 17-and-under team won the tournament with a 12-1 record and 20 sets wins to three losses. The Four Corners Volleyball Club team split two head-to-head meetings against Diamondback. It beat the Las Cruces, New Mexico, team 25-17, 25-23 the first time they played. Diamondback answered back with a 25-17, 25-20 win and claimed first place with a 25-19 victory against FCVBC in a deciding tiebreaker set. The annual Diggin’ It In Durango tournament is scheduled for April 6-7. It brings hundreds of players to the region for the weekend.